Permanent contamination control for equipment that is expensive to maintain, needs constant filtration, or is difficult to access. Products are available for high-pressure or heavy-duty applications. 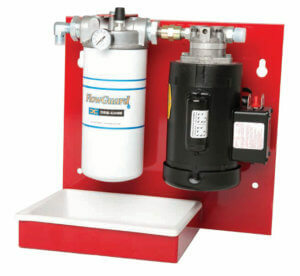 Install Des-Case panel units anywhere filtration is important, perhaps near a piece of equipment that needs regular filtration or a maintenance location where you bring equipment to be filtered. These units are recommended for offline, secondary filtration of mineral-based industrial fluids in small to medium-sized reservoirs with low flow rates. You can customize options for power supplies, flow rate, sample valves, filter bypass valves, oil cooler, temperature gauge, each of the dual filters, and even the frame color. 60% smaller than Des-Case’s standard Panel Unit, the Compact Panel Unit is a single-filter solution for smaller spaces. Use it as a permanently mounted, continuous-duty filtration system for difficult-to-access equipment or a critical application, or employ it as a central maintenance station. 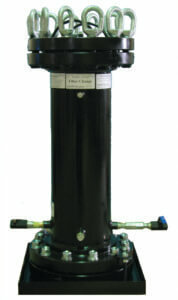 Des-Case TC Series T-Stands are ideal for large reservoirs with high flow rates. They can filter all types of industrial oil, even high-viscosity gear oils. With canisters accommodating multiple filter types such as microfiberglass, depth filters, and bag filters, TC Series T-Stands can remove everything from large particles and debris to sludge, varnish, and water contamination. Customize your unit with options for flow rates, sample valves, strainer types, filter media types and sizes, power configurations, and even color. Designed for compressors and other high-pressure applications, Des-Case High-Pressure Canisters provide constant contamination control for low flow and low viscosity circumstances. 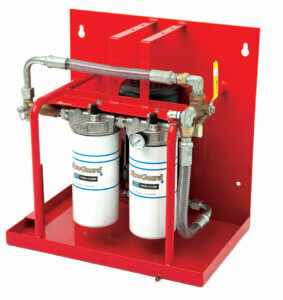 These units come in 150 or 300 psi options, and in foot-mounted or wall-mounted variants. They work with various sizes of high-capacity microfiberglass, depth filter, and water removal elements to obtain very low ISO cleanliness levels. 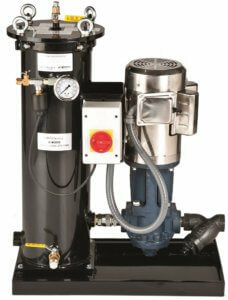 Filter Products Company offers additional filter elements for Des-Case filtration products. Choose from bag, spin-on, pleated, and depth filter elements.